"Redemption, Honor and Glory; But Only Upon Death." 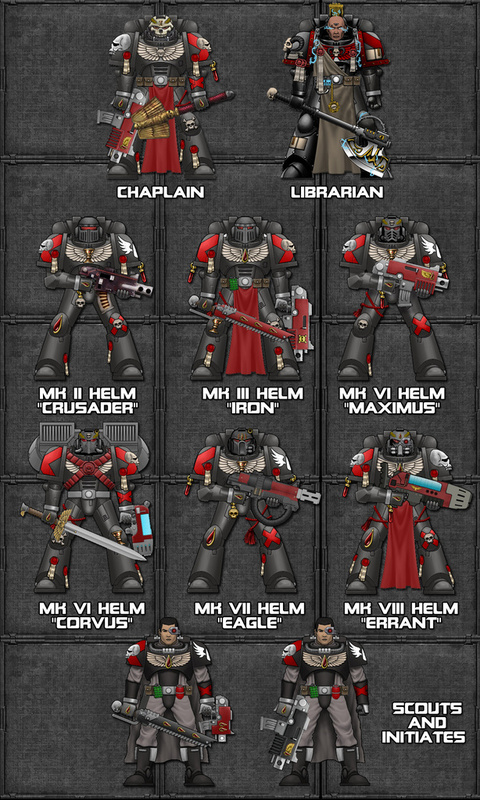 The Mad Nomads Chapter started off as a Death Company in the Blood Angels. But as time passed, it became founded as a standalone chapter to which condemned or dishonoured Astartes from all over the Imperium were sent to. It is in this Chapter that their hopes of ever regaining their lost honour lies. 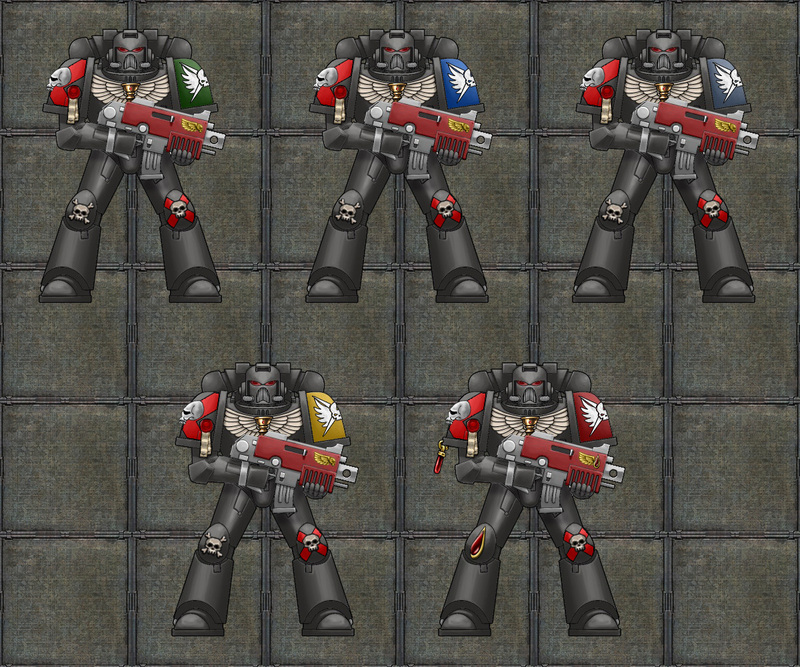 If not, the stains of their tainted honour will be washed clean with blood upon their death, as they die in service to the Emperor. The Chapter is usually tasked with missions of insurmountable odds that are imperative to the survival of the Imperium and its people. Missions undertaken by the Chapter are extremely dangerous and a survival rate of zero is almost always expected. In dire times, brave officers from other chapters would volunteer to spearhead missions that they very well know may be their last. 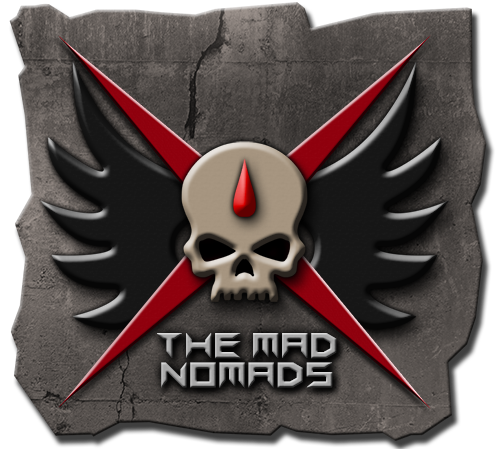 The Mad Nomads are the opposite of the Deathwatch. No glorification. No Ceremonies or Songs. Just the mission; and Death. They are the unsung heroes of the galaxy. A ragtag group of nomads whose sole purpose is to fulfill the objectives of such impossible missions in hopes of regaining their honour. They know that the road to redemption for them, begins and ends with a glorious death on the battlefield. Members are expected to interact and get to know their fellow community members. Because that is the whole point of joining a community! Members will treat each other with respect regardless of their age, gender, nationality, race, religion or political beliefs. Members will carry themselves with maturity, dignity and honour. If you have nothing good to say, please don't say it. Member will not issue any offensive racial, religious and/or political statements or respond to one of them. This includes 'casual racism' and the usage of ethnic/religious slurs. Members will not post any pornographic, violent/gory, illegal or offensive content in any of our communication channels. Members will maintain the respecting and fun atmosphere that is to be found in all of our communication channels. We're all here to play video games and have fun. Members will respect members and non-members the same way. Nobody loves drama. If you like drama, join an acting class. Any insult towards a member, another member or The Mad Nomads as a whole are to be ignored and left uncommented. Members who are unhappy or has taken offence towards another member's misconduct may lodge a formal complaint. An Officer or Senior NCO will then look into the matter and assist in finding a resolution. No member will use, store, or test cheats*. Always respect the Chain of Command during operations. New Recruits will hold the rank of Initiate as a Blackshield. 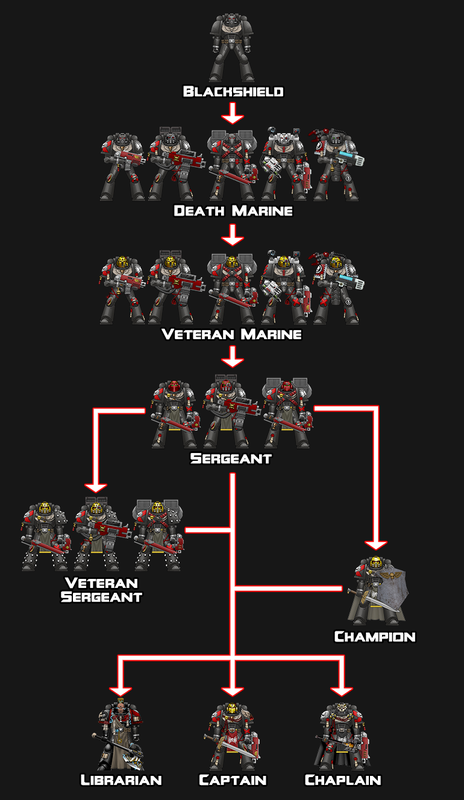 Upon completing the recruitment trial, they will be promoted to the rank of Death Marine and be awarded the Red Saltire on their Right Pauldron. You can see the Rank Progression Table below. Battle-Brothers who have proven their mettle in battle or have shown extraordinary courage and skill in combat will be awarded ornaments and adornments to be worn on their Armor. Such Awards include Relic Helmets, Iron Skulls, Blood Vials, Blood Chalices, Leg Ropes and Loin Cloths. The list of awards can be seen on the Awards Page. Battle-Brothers will receive their own signature with an avatar that reflects their Honour Badges and other Awards. On top of this, their avatar on the Chapter Roster Page will also change to reflect their awards.